#6-14 Classic six-shelf ball rack from the late 1800s for use with antique Brunswick pool table. 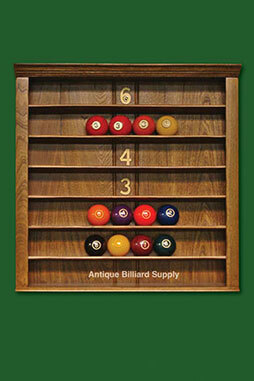 Wall-mounted ball racks can be used to display old pool balls or other items. Highly figured ash construction with gold leaf numbers on rear panel. Completely restored and ready for use.